Adam Fire Fist Shows No Mercy!!! : South Africa 37: Eerie. Yeah, I just about pooped myself, too. 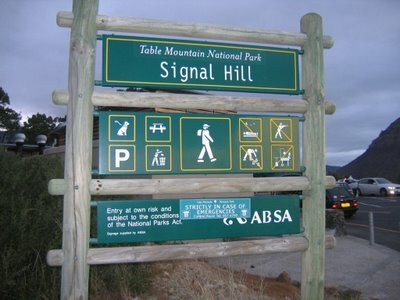 We were driving into Cape Town in Michael's bakkie ("bucky", remember) when I saw that a prominent feature of the landscape was called Signal Hill. I just about plotzed. South Africa was so good. 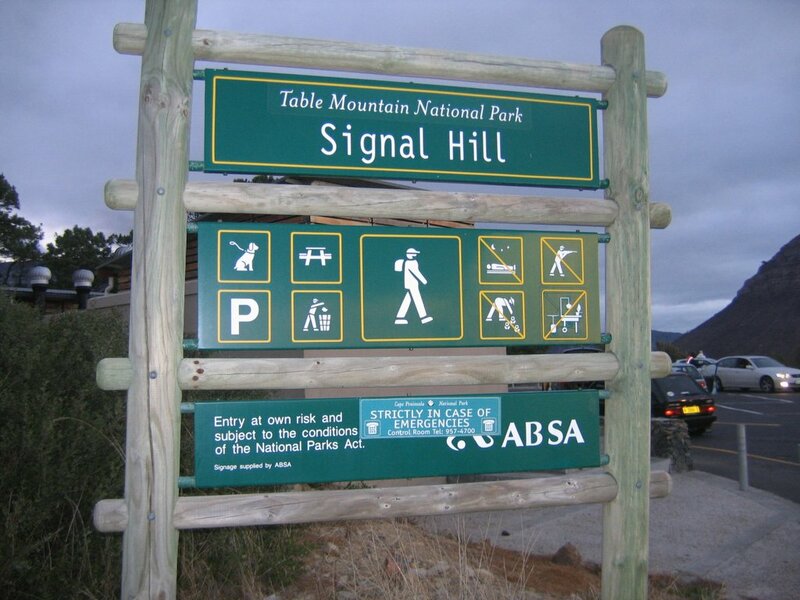 We had a nice picnic at Signal Hill and watched the sun set. Now we have picture of people and geography. 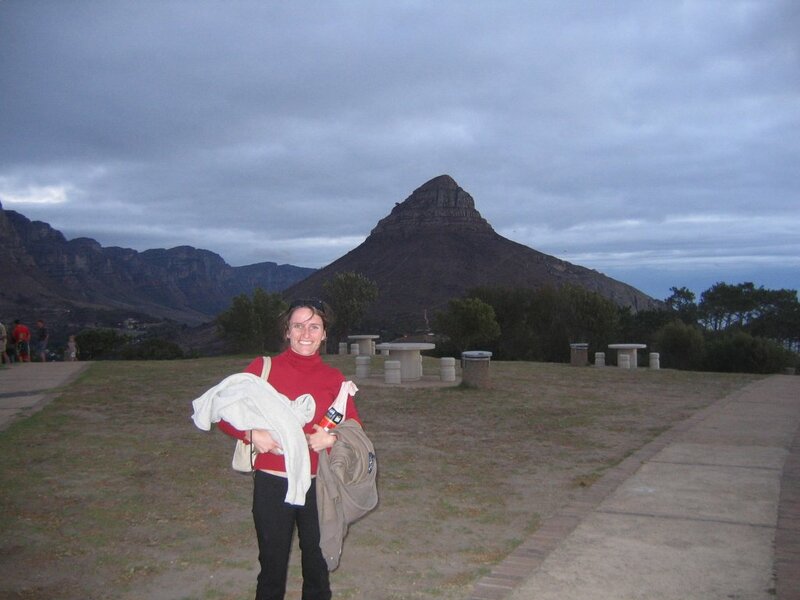 This is Lisa and Lion's Head. This is funny, because Lisa's grade one class when I was first working at Cornel was called.... the Lions. Go ahead and clap. I'm so awesome. 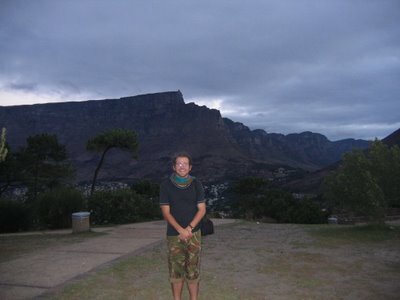 This is Michael and the Twelve Apostles. Which is funny, because the twelve apostles are characters in a book called "The Bible." None of those twelve apostles were named Michael. BUT the name Michael itself is biblical. It first appears in the Book of Numbers "where Sethur the son of Michael is one of twelve spies sent into the Land of Canaan." And this is me. This one is the best one, because it's called Devil's Peak. An obvious reference to my heritage as the son of... Calvin Hunt. 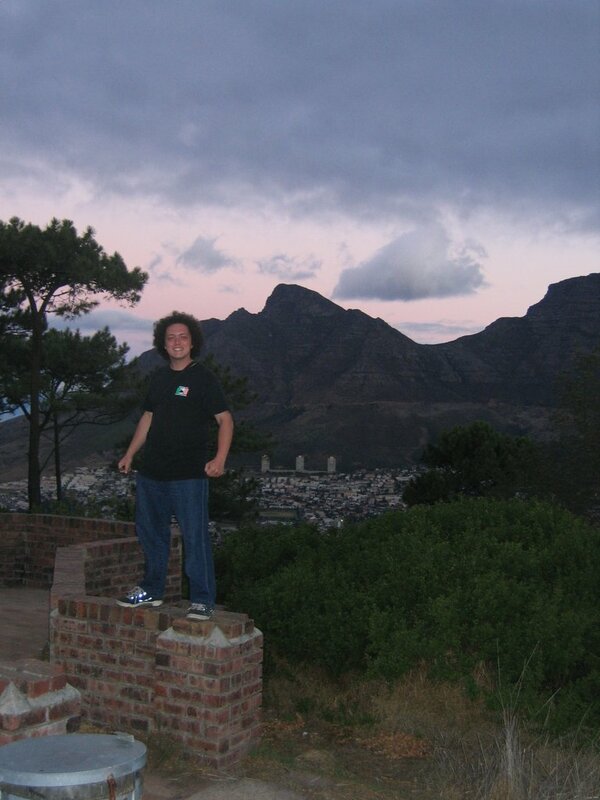 Well, we're almost finished with my trip to sunny South Africa. Jeez, took me long enough, wha?